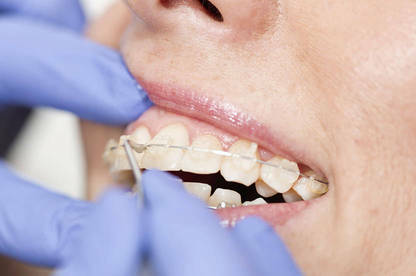 If you want to fix your crooked teeth in a hurry, there are braces that claim to do the business in six months or less. Not only is the treatment faster — it’s also cheaper. But are these short-term solutions too good to be true? We look at the concerns surrounding these quick fixes and consider the different types of braces available. The latest fit hitting dental clinics is short-term orthodontic treatments such as Six Month Smiles and Rapid Smiles Express. “Straight teeth. Less time. Clear braces” and “achieve your dream of straight teeth and a beautiful smile in just two to four months” are some of the boasts found in the marketing materials. Otago University chair of orthodontics Professor Mauro Farella isn’t so sure these products can always deliver on their promises. His concern with short-term orthodontics is the result might not address all of a patient’s problems and they may need further dental work. Most comprehensive orthodontic treatments last for more than 20 months and are based on evidence-based science tailored to the patient, which these systems are often not. Prof Farella says these short-term treatments are typically used to straighten the “social six” — the six front teeth — and in six months it is often not possible to fix more complex problems, such as malocclusions (bad bites). “Most comprehensive orthodontic treatments last for more than 20 months and are based on evidence-based science tailored to the patient, which these systems are often not,” Prof Farella says. Dr Noel Ananthan, a Six Month Smiles instructor, agrees conventional comprehensive orthodontic treatment is the gold standard and says this is made clear to patients. “However, tempering that is the reality that many of our adult patients do not wish to undertake the scope and timeline of comprehensive orthodontic treatment.” They just want a cosmetic fix to their teeth, he says. Rapid Smiles Express is also a cosmetic treatment and focuses on straightening the six front teeth. It doesn’t claim to be able to fix bites. The company says it’s ideal for people who had braces as a teenager, have had subsequent problems and want to straighten their teeth. Dentists can offer these cosmetic treatments after completing a short course. For instance, dentists wanting to use Six Months Smiles attend a two-day course. The Six Months Smile guide for dentists states “no ortho experience is required”. Rapid Smiles providers are required to complete a “general orthodontic residency”, which consists of 12 days’ training over one year. In comparison, orthodontists are qualified dentists who have undergone an extra three-year full-time university degree in orthodontics and treated more than 100 patients under supervision. Only then can they register with the Dental Council of New Zealand as specialist orthodontists. Marketing of some short-term treatments — especially the focus on how these products can boost a dentist’s bottom line — has drawn criticism. The Six Month Smiles guide quotes a dentist saying introducing Six Month Smiles to his practice increased revenue 40 percent. New Zealand Dental Association chief executive David Crum says while there is a place for short-term orthodontics, it’s very limited. He says dentistry is a business, so requires financial return, but it’s important for practitioners to retain their ethical balance and deliver what’s in the patient’s best interests. In December 2015, the Dental Council established a working group to advise it about general dentists doing orthodontic treatments. Working group chairman Dr Robin Whyman says the review came about because of complaints about the quality and appropriateness of some orthodontic treatments provided by general dentists, as well as concerns about how some treatments were advertised. The review came about because of complaints and concerns about how some treatments were advertised. “The council was also aware that the question of whether to get orthodontic care from a general dentist or an orthodontist specialist was confusing for the public,” Dr Whyman says. Dr Crum says orthodontic treatment is legally a part of general dental practice but there are times when a dentist needs to refer more difficult cases to a specialist. However, there are no guidelines about this. The Dental Council’s Standards Framework for Oral Health Practitioners simply states a dentist must ensure the care provided is within his or her level of competence, skills and experience. The New Zealand Dentists Orthodontic Society (NZDOS), which represents about 75 general dentists who practise orthodontics, said there were many orthodontic training courses for dentists, some taking up to two years to complete. The NZDOS recommends members tell patients they’re not registered orthodontists and this should be stated in a patient’s consent form. It also recommends members tell patients about all treatment options, including those that can be done by other dentists or orthodontists. Dr Whyman says patients should talk to their dentist about proposed treatments and make sure they are comfortable with what is being provided. “You can always seek a second opinion if you are unsure. Anyone can make an appointment to see an orthodontist, you don’t need a referral,” Dr Whyman says. The working group is still finalising its review and findings were not available when we went to print. In November 2016, the working group released its findings. It concluded dentists had the base knowledge to do limited orthodontic treatments but further training and experience is required to undertake more complex treatments. There’s also a need for better quality, New Zealand-driven, courses and an agreement that short courses don’t offer comprehensive stand-alone training. However, the group said short courses do have some value if the dentist has the knowledge to determine whether the system is evidence-based and appropriate for a patient. The report concluded the tone of some orthodontic advertising, especially comparative advertising, was not helping consumers make decisions. 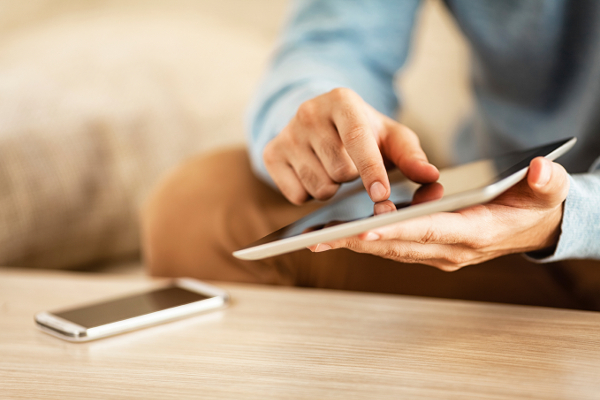 More independent information must be made available to patients so they can ask relevant questions when seeking orthodontic treatment and to facilitate informed consent. One of the working group’s 12 recommendations was the Dental Council should consider mandatory disclosure about whether the practitioner is a dentist doing orthodontics or an orthodontist. The Dental Council accepted all of the working group’s recommendations and is developing a plan to action the recommendations. 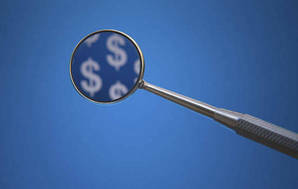 The cost for braces depends on how complicated treatment is: advertised prices range from a few thousand to more than $10,000. You should be given a quote before treatment begins. Most practices offer payment plans. Most health insurance policies won’t cover orthodontic work, but you may be able to buy a specialist dentist plan. Conventional braces have come a long way since the metal train tracks of old. The brackets — the bit that sticks on your teeth — are now smaller and more comfortable. The cheapest option is made from stainless-steel, but they can be made from titanium or ceramic, which can be clear or tooth-coloured — great for the appearance-conscious patient. 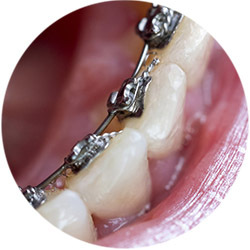 The wires that pull the teeth into alignment are usually made from titanium or stainless-steel. They can also be silver or tooth-coloured. A downside to clear or tooth-coloured braces is they can stain if they’re not looked after well. There are different systems for attaching the wire. 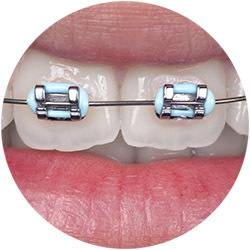 The most common involves wire ties or small elastic bands (modules) that secure the wire within a slot on each bracket. The modules can be clear or coloured. An alternative is a self-ligating brace, where the brackets have a channel accessed via a spring-loaded door — the wire travels through these channels and you don’t need the wire or elastic ties. The brackets come in silver or clear versions. The ultimate in non-obtrusive braces are lingual braces. They attach to the inside surface of your teeth so they’re invisible. Lingual braces are more expensive than braces on the outside of your teeth because they are custom-made, adjustments take longer and are a fiddlier process. It’s also harder to keep your teeth clean and they can irritate the tongue and affect speech (although this is temporary as you get used to them). 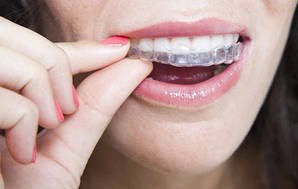 Clear aligners consist of a series of clear plastic moulds, like a slim mouthguard. Using 3D imaging of your teeth, different moulds are made to gradually move your teeth towards the desired result. The number of moulds you need depends on how much movement is required. You wear a set for about two weeks, then move to the next set. Attachment points — tooth-coloured plastic bumps on your teeth — may be added to help the aligners get a better grip. “Buttons” to hold elastic bands may also be required. 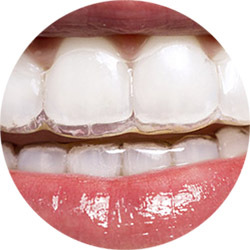 Clear aligners are almost unnoticeable and can be removed. However, for best results you need to wear them for at least 22 hours every day. You need to take them out for eating and drinking, then brush and floss your teeth, and clean the aligner trays before putting them back in. There’s also the risk of damaging or losing your aligner. They’re best for mild to moderate problems. They usually aren’t suitable for children because the user has to be committed to wearing them most of the time. Short-term braces are typically offered by general dentists rather than orthodontists. Some systems are more limited in scope, focusing on cosmetic outcomes, such as fixing crooked teeth or spaced teeth. Fastbraces is another system used by dentists to straighten teeth quickly. It also claims to work faster than conventional brackets and wires. Unlike other quick treatments that only promote a cosmetic fix, Fastbraces describes its sytem as a “comprehensive orthodontic treatment” that can also be used to correct bites, unequal tooth lengths and rotated teeth. To become an authorised provider, dentists attend a two-day training course. Once the braces are off, you’ll need to wear a retainer to maintain your smile. It might be a fixed retainer, with a non-visible wire attached to the back of your teeth, or a removable one. How long you’ll have to wear it varies from case to case. If you don’t wear a retainer your teeth may move back to where they were.